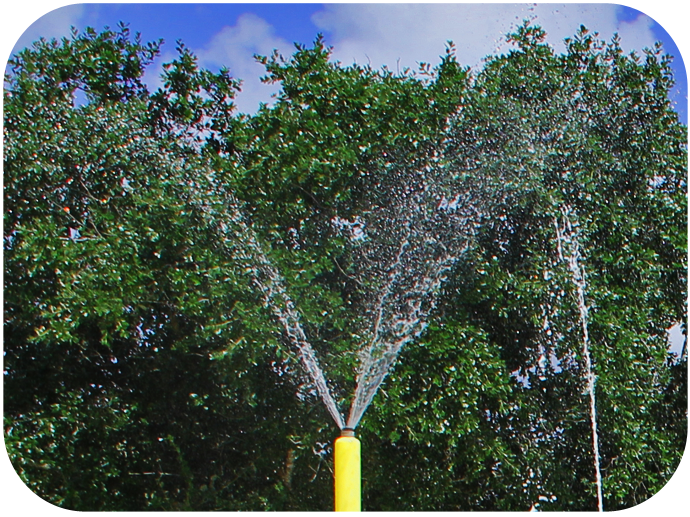 The fun and excitement of interactive water play is no longer restricted to the big budgets. "You control as much of the design process and installation as you choose which in turn allows you to control costs." 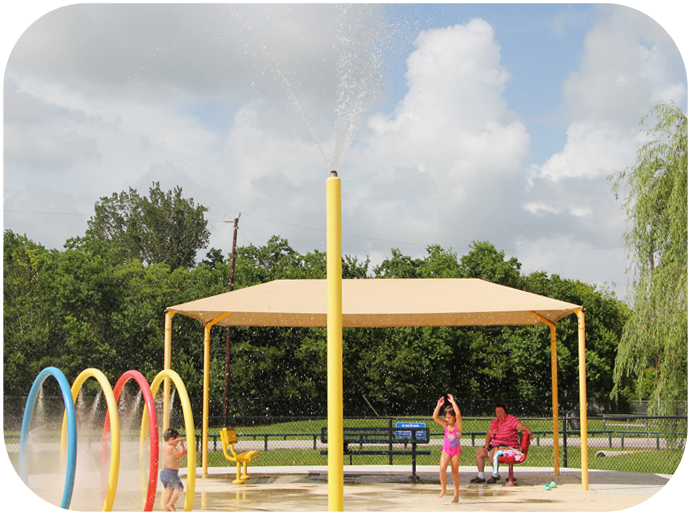 This easy-to-install and easy-to-maintain modular water play system emphasizes affordability, flexibility and accessibility. 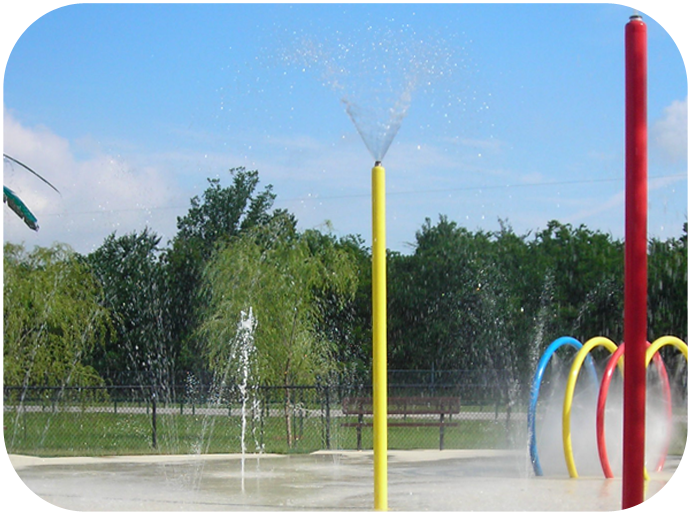 Waterworks International's Splashpads make interactive water fun a cost-effective option for park districts, day care centers, special education facilities, youth groups and community centers, zoos, and hotels of all sizes. A continuous streams can be left running or can be controlled to provide short bursts for a more random effect. 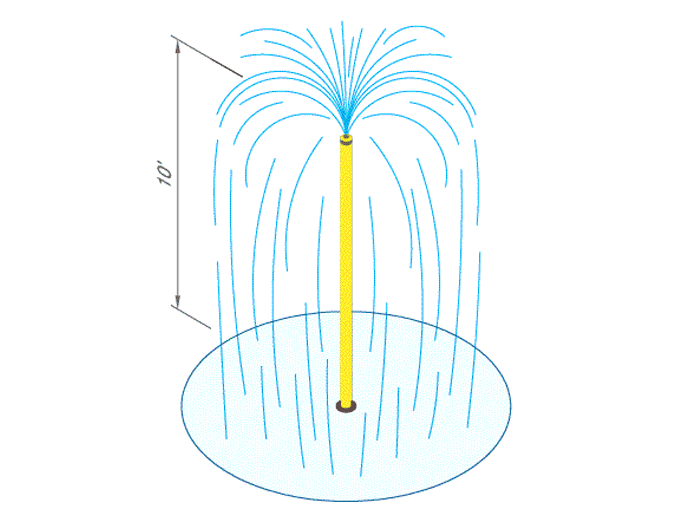 Should be placed on splashpad with height of water column and prevailing winds taken into account. Can be grouped in twos or threes, one can be constantly streaming while the other two are randomly blasting short bursts. Footprint This footprint is ever changing based on column height and wind conditions. No winds will produce a diameter of 10'. windy conditions will throw the water everywhere. These exciting elements are made of rugged stainless steel construction and finished with a resiliant UV stabilized finish. These in gorund elements produce a wide array of effects from small foamy fountains to large glass-like arcs of water.